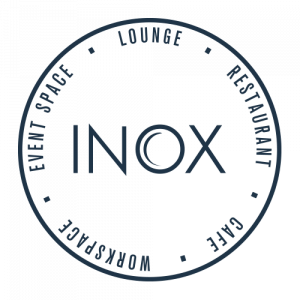 The University of Sheffield’s Students’ Union Building is home to the city’s newest restaurant Inox Dine. The 100 cover restaurant, with adjoining meeting and event space, is an exciting new venue, not only for staff and students, but also for the wider business community, Sheffield’s many international visitors, and restaurant goers across the city. The top flight restaurant brings a unique local flavour to the city’s thriving restaurant scene, as well as valuable new facilities to add to the University’s meeting and event services. It aims to become the venue of choice in the city. Sheffield born Head Chef, Joe Berry, is leading the talented Inox Dine team. He has created a contemporary British menu with an international influence and one which provides an exciting platform for local suppliers and producers. A taste of Sheffield is present in the menu – with creative touches inspired by favourite local ingredients such as Henderson’s Relish and local handcrafted ale – as well as in the restaurant itself, which celebrates the Steel City’s heritage in its design and finishing touches. Indeed Inox is the word used for stainless steel in metallurgy.